Baptism does not save you. 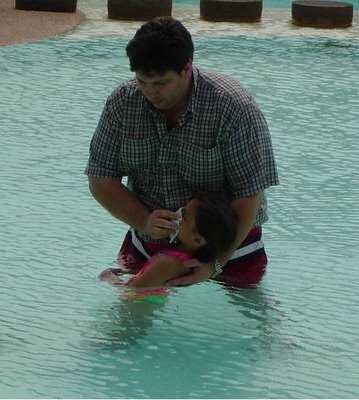 Baptism is an act of obedience that demonstrates what has already taken place in your heart. Baptism identifies you as a follower of Jesus Christ. Baptism by immersion is the proper method of baptism for it symbolizes the death, burial, and resurrection of Jesus. A believer who delays baptism, delays obedience. This entry was posted on December 29, 2008 at 10:26 am	and is filed under Baptism, Bits & Bytes. Tagged: Baptism, Baptist Sermon, God, Identification, Jesus, Obedience, Salvation, Sin, Submission, Thailand. You can follow any responses to this entry through the RSS 2.0 feed. You can leave a response, or trackback from your own site.